I have been dreaming to see sunrise in Bromo. I go to Surabaya and Malang almost every year for business trip, but I have never visited Bromo before. This time, I extended my business trip in Surabaya and took a tour from Surabaya to Bromo. 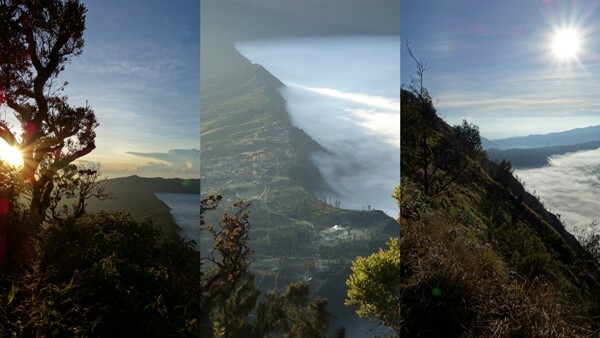 Too bad that the road heading to Bromo is closed during our visit (it will be opened by Nov 28, 2012), so we could only see the sunrise from Pananjakan Viewpoint. 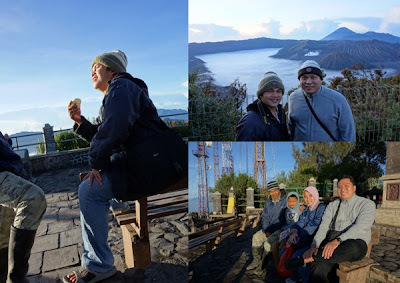 Because we only had limited time, we took a private organized tour from Surabaya to Bromo. 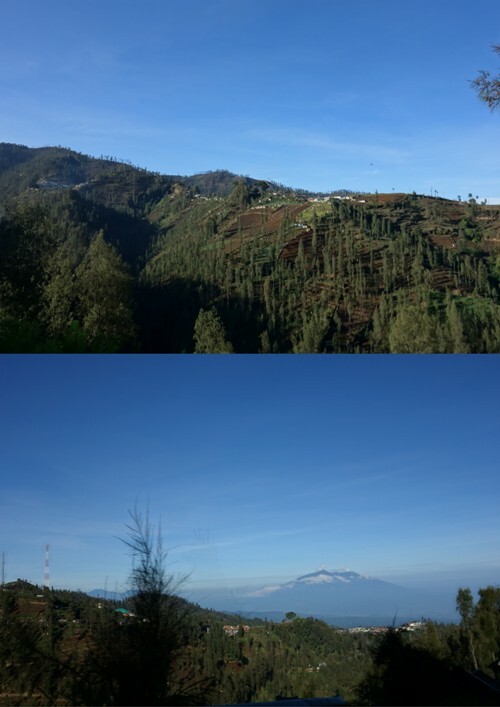 We were transferred from Shangri-La Surabaya to Gunung Pananjakan, then to our hotel in Malang. I was recommended by a friend to use the service from Ibu Yuni and I am really satisfied. I had to pay IDR 1,075,000 for two person and I thought it was quiet a bargain compared to other tour I had searched via google. The tour price including private jeep getting to Pananjakan. A toyota Avanza picked us at Shangri-La at 12.00 on a Friday midnight and we went directly to Wonokitri, the place where we changed our Avanza with a jeep before going to Pananjakan. On the way we stopped by to meet our guide named Rafael. We didn't take the Probolinggo route, because we knew that we could only go to Pananjakan Viewpoint. 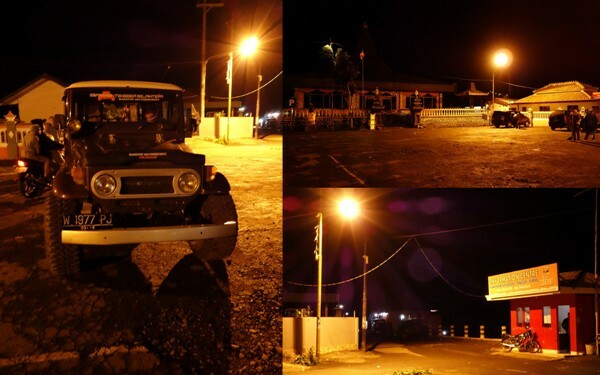 We arrived at Wonokitri at 3 am, and after a while Rafael provided us a jeep. There were people offering hand gloves, scarf, and many things to avoid cold at Pananjakan. I bought myself a hand gloves for IDR 10,000. We had to pay IDR 5,000 per person (for Indonesian) to get to Pananjakan, while for tourist they had to pay the entrance fee as well as camera charge (strange?) for IDR 100,000. We arrived at Pananjakan at 3.30 am, and this is what we saw before we went up to see the sunrise. We could see clear sky with many stars just above our head and below we could see the city of Malang. Beautiful. The sunrise came, the view is so magical! 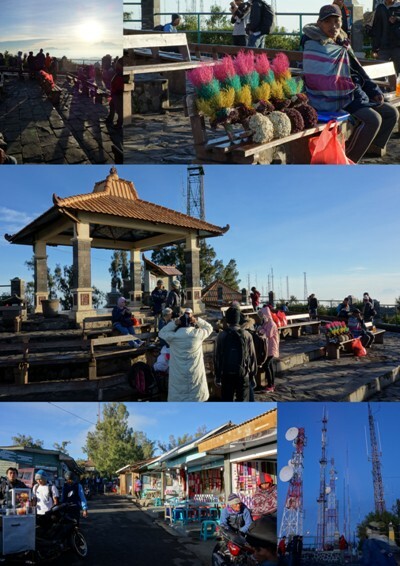 And this is my dream sunrise of Bromo..
At the viewpoint, there were people selling edelweiss flower (illegal), there were also many BTS at the viewpoint, internet connection was strong at this area. Rene took a picture with our guide Rafael. He is originally from Nias Island (near Medan) but has been living in Tengger the past 10 years. He is a very nice person. You may email him if you'd like to arrange your transport getting to Bromo. On the way by the jeep going to Wonokitri, we stopped by at other viewpoint and the view here is even better! Down under we could see Bromo with fog, looks like a sea of fog. Gorgeous! Our way back from Wonokitri to Malang we could enjoy all the greenery... people are planting vegetables on the mountain, never seen this before. Waiting sunrise at Bromo is one of the things you must see in Indonesia..for sure! I will be back someday once the access to the Sea of Sands (Lautan Pasir) of Bromo is opened. Makasih banget info nya detail untuk kami bisa rencana ke bromo maret 2017 ini. Hai Mba Leila, semoga lancar ya..
Duh saya juga pengin ajak Kiddos kesini, belum pernah Mba hehee..